This town on the Mekong River was once a French trading port. Few colonial era buildings remain though the Talat Yen Plaza remains low-rise and uncluttered. Savannakhet is often described as “sleepy”, which is not a bad thing if you are looking for some respite from the bigger cities. I enjoyed visiting here to see the contrast of an everyday city without mass tourism. Savannakhet hotels – Search for discount hotels in Savannakhet. 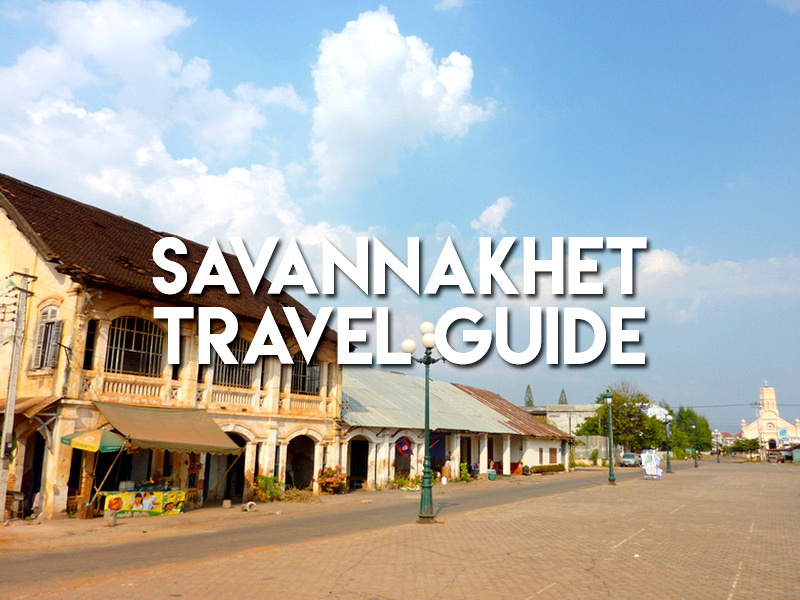 Savannakhet – Travel guide from official Laos tourism website. Nobody goes to…Savannakhet – funnelogychannel.com. Hospitality in Savannakhet: The lovely ladies of Laos – alongwayback.com. Savannakhet photo gallery – Photo gallery of Savannakhet. There is a French restaurant located just off the right edge of that photograph (can’t remember the name right now) where I satisfied my urge for some farang-food with a delicious medium-rare steak. Happy memories! spent a lot of time standing in that plaza using the free wifi coming from a nearby building 🙂 Love that town and the breafast egg sandwiches!! along main street every morning. @Andrew always good to have a steak craving answered so well. I ended up spending another day here as I found good internet as well. I loved it the article. I would like to get here. Photos are looking great, nice to see more of Laos than just tubing. Thank you for your precious work. Can you please tell me if there was a big mango tree infront of Talat Yen Plaza in 1970s?